Fixed my Miata and Finally Washed it. 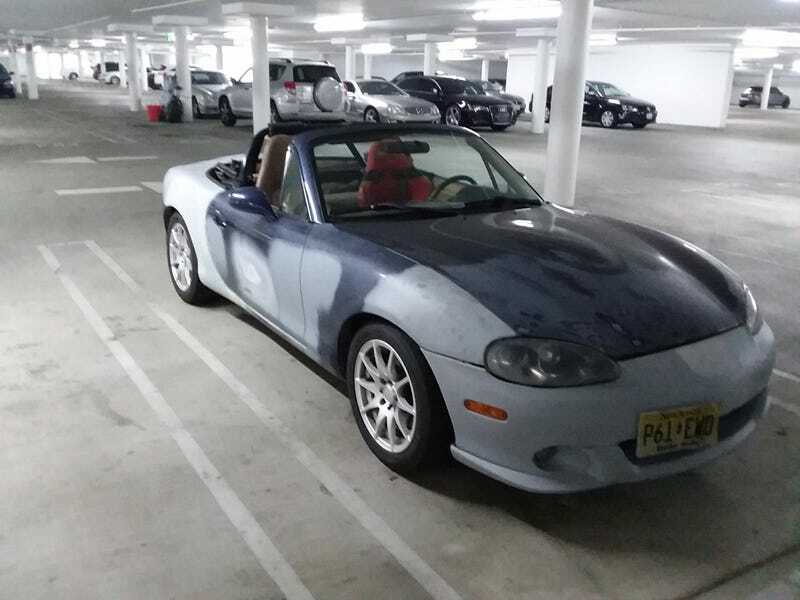 After my broken spark plug escapade and being away on work travel, I didn’t get around to driving my Miata for a couple of weeks. Today I finally got around to pulling my spark plugs and installing new copper NGKs. Turns out two of them were barely even tightened down. Only 1 and 4 had any decent tightness to them. So I done goofed when I replaced them in November. Funny thing is I drove across the country like that and then a couple thousand miles after that. Nonetheless, I used my torque wrench this time and so I’m sure they are there to stay. There was a bit of aluminum on the plug that shot out so it definitely pulled some head material out with it. But it drove fine so it’s fine for now. Something to keep an eye on since I may have to fix those threads some day. It torqued down without issue so I’m not worried about it for now. After taking it for a test drive across the valley, giving the car a thorough work out, I finally also washed it. My paint is obviously still non-existent but at least it’s not also covered in a layer of 3 months worth of dust/grime. My wheels are now silver again as well! They had become a dark shade of grey which was my main motivation for the car wash.
Now the Miata is ready for an Oppo Meet in Malibu on Sunday morning! Should have decent turnout if the weather holds. Chance of rain (rare in LA) but we shall see. Probably will take the Subaru if roads are wet but it’s still nice enough to meet.